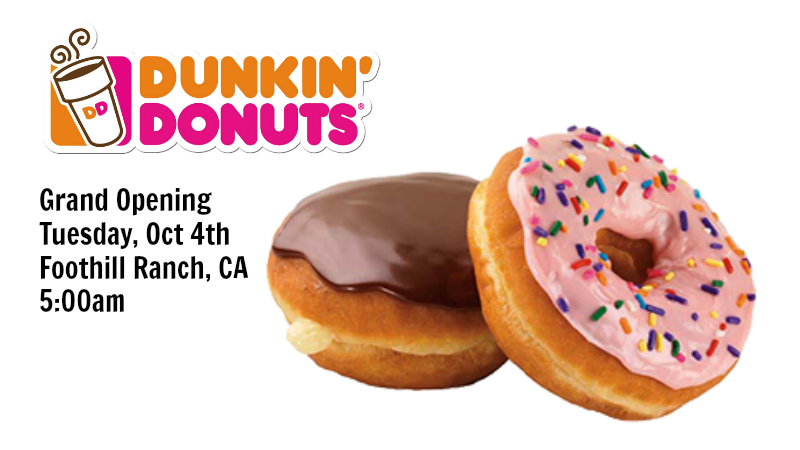 You’re Invited – Dunkin Donuts Foothill Ranch Grand Opening Oct 4th! You are officially invited to the Grand Opening of the newest Dunkin location as Dunkin Donuts Foothill Ranch opens its doors to the public on Tuesday, October 4, 2016. The world’s largest chain of donut/ice cream specialty shops, are bringing Orange County’s first Dunkin’ Donuts and Baskin-Robbins multi-brand drive-thru restaurant! You’re not going to want to miss this first ever event when Dunkin and Baskin-Robbins combine and open the first of its kind, donut/ice cream sensation. 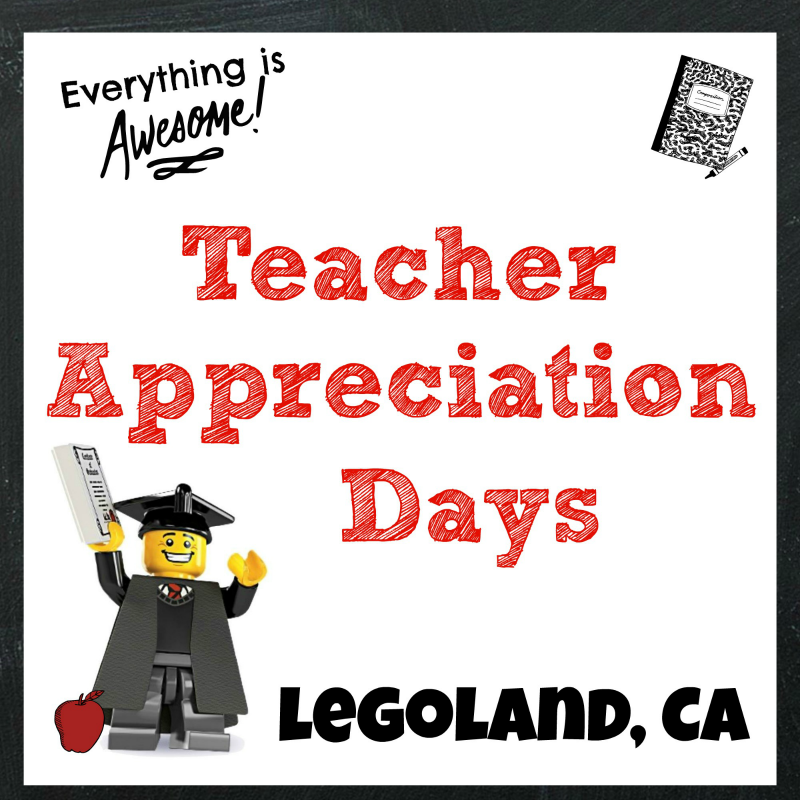 The first person in both the drive-thru and walk-in line on October 4 will earn a $250 gift card, and the first 200 people in both the lobby and drive-thru will receive a free Dunkin’ Donuts tumbler or a Baskin-Robbins campfire mug. Throughout the day, customers can collect a branded keychain by signing up for DD Perks®, Dunkin’ Donuts’ guest rewards program. The Foothill Ranch Dunkin’ Donuts restaurant is also the brand’s 100th DD Green™ Achievement location, designed with energy efficient and sustainable elements. A milestone originally planned for the end of 2016, Dunkin’ Donuts is ahead of schedule with integrating this program into its new restaurants nationwide. The Foothill Ranch establishment will feature specialty lighting to reduce energy use, high-efficiency mechanical units, water reduction features and more. 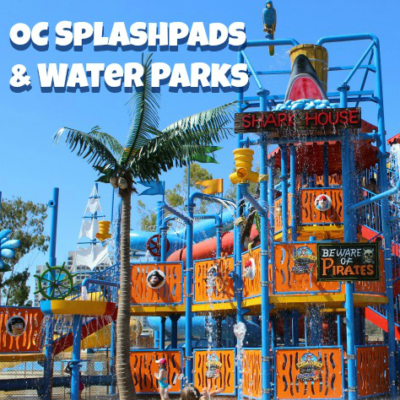 Plan to attend this momentous opening on Tuesday, October 4th at 5:00am. 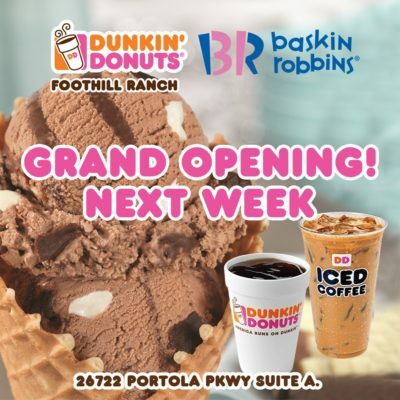 Dunkin Donuts/Baskin Robbins Foothill Ranch is located at: 26722 Portola Parkway, Lake Forest. Founded in 1950, Dunkin’ Donuts is America’s favorite all-day, everyday stop for coffee and baked goods. Dunkin’ Donuts is a market leader in the hot regular/decaf/flavored coffee, iced coffee, donut, bagel and muffin categories. Dunkin’ Donuts has earned the No. 1 ranking for customer loyalty in the coffee category by Brand Keys for 10 years running. The company has more than 12,000 restaurants in 44 countries worldwide. Based in Canton, Mass., Dunkin’ Donuts is part of the Dunkin’ Brands Group, Inc. (Nasdaq: DNKN) family of companies. For more information, visit www.DunkinDonuts.com. Named the top ice cream and frozen dessert franchise in the United States by Entrepreneur magazine’s 37th annual Franchise 500® ranking in 2016, Baskin-Robbins is the world’s largest chain of ice cream specialty shops. Baskin-Robbins creates and markets innovative, premium hard scoop ice cream and soft serve, custom ice cream cakes and a full range of beverages, providing quality and value to consumers at more than 7,700 retail shops in nearly 50 countries. Baskin-Robbins was founded in 1945 by two ice cream enthusiasts whose passion led to the creation of more than 1,300 ice cream flavors and a wide variety of delicious treats. Headquartered in Canton, Mass., Baskin-Robbins is part of the Dunkin’ Brands Group, Inc. (Nasdaq: DNKN) family of companies. For further information, visit www.BaskinRobbins.com.